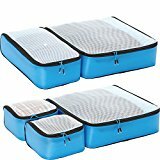 Are you trying to choose between all the millions of options of travel packing cubes on the market today? It can get a little bit overwhelming, can’t it!? One nifty trick of trying to narrow down our choices is to simply find the cube that has the most (positive) reviews on Amazon! 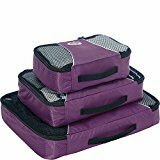 The eBags Travel Cubes are the #1 best selling luggage packing cubes on Amazon!! There are so many reasons why we love these packing cubes and why we personally use them ourselves. But the most important features are their high quality design, with durable Nylon, reinforced zippers and an inner material lined layer! 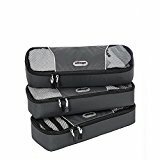 They are great as either suitcase packing cubes or as packing cubes for backpacking (more on this below). Watch our eBags packing cubes video where we outline the positive and negatives in our eBags packing cubes review. These cubes are one of the best travel cubes in 2017. Below you can find a quick summary of the key requirements that we look out for when we purchase our packing cubes. They are rated out of 5 each. These travel organizer bags are available in a selection of 10 bright colors: black, grasshopper, aquamarine, denim, raspberry, eggplant, titanium, peony, canary & tangerine. 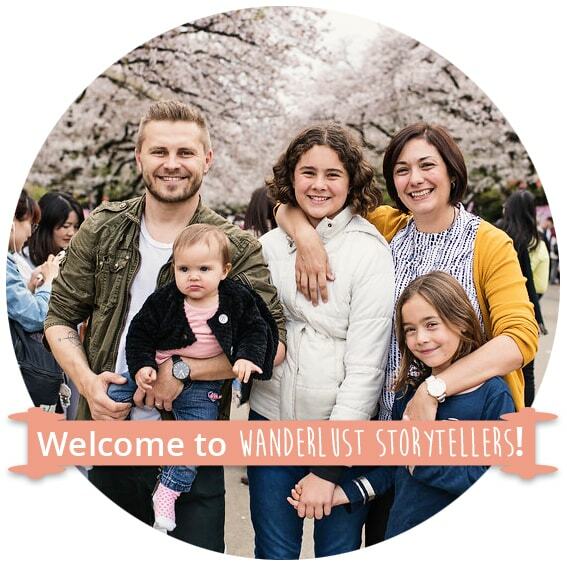 For us, a choice of colors are essential as the different colors allow you to color code cubes with different family members; which is really helpful when your kids share a suitcase! 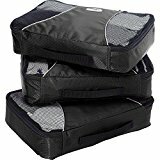 The 3pc eBags Packing cubes set is the most popular out of all of their styles. 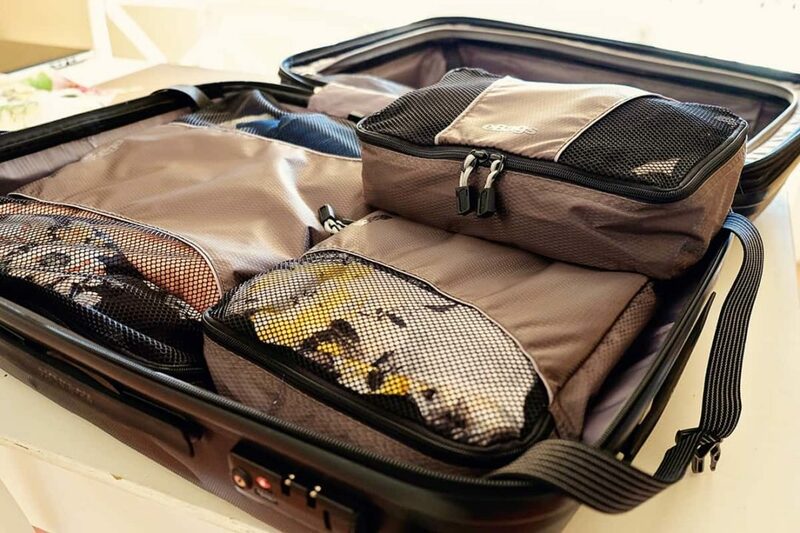 These are the perfect packing cubes for suitcases. The second most bought product from the cube range is their medium 3 pc set. Essentially you simply get 3 medium sized cubes. The medium sized cube is our favourite size, so it makes sense to buy this size and simply compartmentalize your items. This size also works well in a typical 21" carry-on roller-style suitcase. You can also purchase a set of 3 eBags small packing cubes or the eBags large packing cubes seperately. 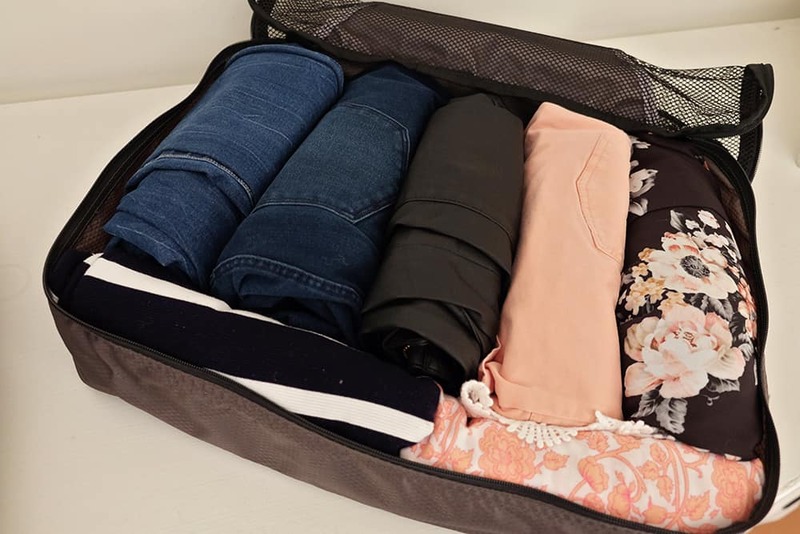 Everything about these packing cubes are lightweight: a lighter material, lighter zips and a touch of compression to fit in more clothes. They come in a set of 5: 1 slim, 2 small and 2 large. I much prefer the standard packing cubes over these, but if weight is a major issue for you, it might be worthwhile investing in a set of these light babies. I really think that the eBags slim packing cubes are the best packing cubes for backpacking. These cubes are perfect for slipping into either daypacks or backpacks. I also really love them as an additional to my standard set, as they tend to fill in the leftover ‘gaps’ in my suitcase really well. 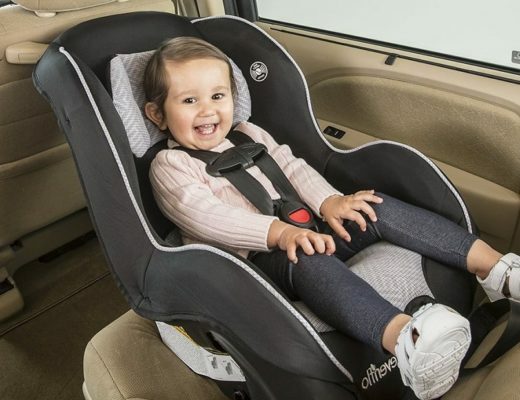 They also work brilliantly for babies and kids gear. They come in multiple color options! Great for families like us: Katie-Lee gets the blue and Lily gets the green! When filling the packing cubes they tend to bulge out in various places rather than fill out the shape neatly. This is due to the flexible soft material which aids to the lightweight factor. Not feeling convinced that these are the packing cubes for you? 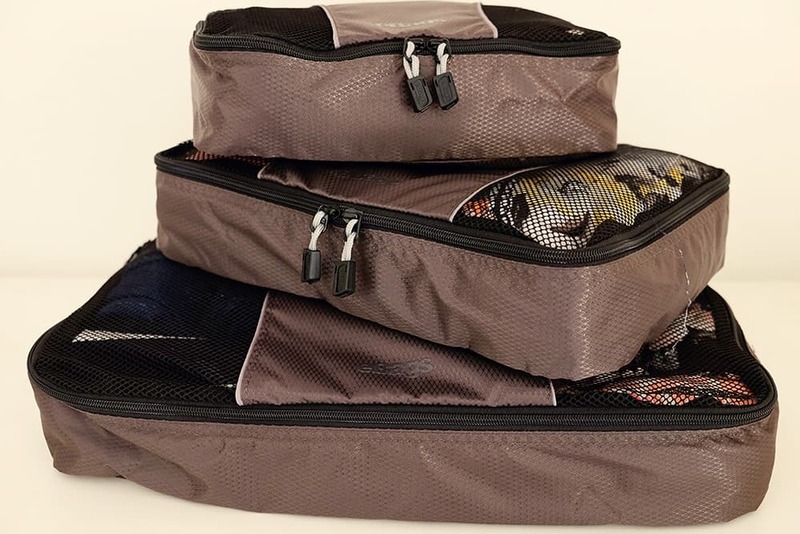 These are one of our personal favorite suitcase organizer bags! They happen to be the #1 best travel accessory on Amazon and they also proudly take the place of the bestseller amongst packing cubes! Honestly, there is no need to look further! You know that these cubes will last you and if for any reason something do break, you are backed by their lifetime warranty. 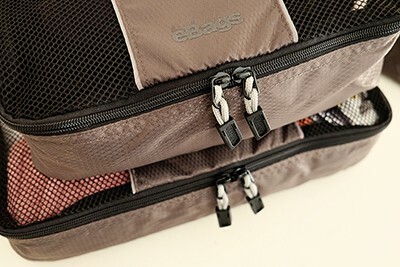 My only advice is to purchase the eBags value set, which combines the standard size cubes with the slim. A combination of both sets will allow you to make the most use of the space in your suitcase or backpack. Grab a set now, you won't be disappointed! And if you are, you can return it for 30 days, so really what have you got too loose! How much can I fit in the large cube? In my large packing cube I have 3 denims, 1 pair of shorts, 2 dresses and 1 skirt. I could still fit in a few folded shirts or dresses on top as well. Very spacious and a great way to keep contents nice and organised! The comparison between Eagle Creek vs eBags packing cubes is an easy and straightforward one. If you are after standard packing cubes for travel, the eBags cubes win hands down. They are the perfect size in comparison to the Eagle Creek which are slightly on the (too) small side. If you are after compression cubes to minimize space, then we highly suggest you invest in the Eagle Creek Compression Packing Cubes. We have a set of these that we use in combination with our eBags when we go to cold destinations. They are great when you need to compress bulky items such as jumpers. This question is a lot harder too answer. In our house Andrzej uses a set of eBags, whilst I prefer the Shacke Pak packing cubes. If you are looking at quality and durability, I really feel like they are an equal match. I prefer the Shacke Pak simply because I love the vibrancy in the color and the look of the material more. I also like that the Shacke Pak is a ‘stiffer’ cube and retains its shape a lot better than the eBags tend to. However, I really love how much tidier and neater the eBags fit next to each other in a suitcase, where the Shacke Pak is slightly too large to fit next to each other without having to squeeze and squash the cubes in next to each other (which results in creased clothes). We hope you enjoyed our eBags review. 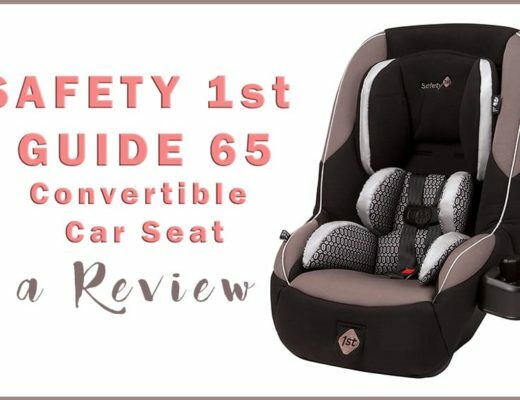 Please keep your eye out as we plan to write up more helpful reviews of the travel gear we personally use!